If you want your content to stand out online, just publishing it isn’t enough. You have to find ways to put it out there for your perfect clients, stimulate more traffic, and draw in new readers. Putting your blog posts, case results, and other content on your website is a great start, but you need to put in just a little more work to get that organic traffic flowing back to you. After all, getting found in organic search is all about writing exceptional content and gently promoting it in all the right places. Without that key promotion step, your content can linger around on your website and go unseen by the people who need that information most. Submit the page URL to search engines. Search engine crawlers work fast these days, so it’s no longer really necessary to submit your new content pages to search engines like Google and Bing. However, it can be helpful to do so when you have time-sensitive content or want to get traffic a little faster than you might otherwise. For example, this might be a wise option if the content you want to promote is tied to breaking news or an upcoming event. Share content on social media. Social media sites like Facebook and LinkedIn can be great places to stimulate interest in the content you post. It gives you a chance to put it in front of your perfect clients when they are likely to have a few extra minutes to read an article and think about friends and family who might also be interested in what you have to say. Plus, social media makes it really easy for people to start a conversation with you and share your content with others. Send an email. Send out an email that gives your contacts a link to your new content and a taste of what it’s about. You might even send out regular “roundup” emails that give people a preview of your most recent content and point them in the right direction to learn more. The nice part is that this doesn’t necessarily have to be anything long or fancy since you’re already promoting a more in-depth read behind the link. Find out how to manage your email campaigns in DSS. Use targeted long-tail ads. For “cornerstone” content that supports a major campaign or practice area, a well-targeted ad can offer a big boost in the short term. Focusing on long-tail keywords helps you better zero in on your “perfect readers” for the page, and it may help control PPC costs compared to more competitive keywords. Depending on your goals and your audience, it might be appropriate to invest in both Google’s AdWords and social media advertising. Social media sites often give you a much greater opportunity to target exactly who you want to attract, with lots of options beyond what you might be used to in AdWords. Find out how to create a custom audience on Facebook. Build links and make connections. Reaching out to your community and local media sources can be a fruitful way to promote your content and get better links back to your website. 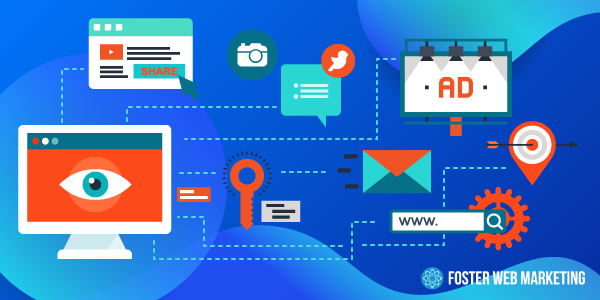 There are also a lot of ways to use those connections to improve your website’s overall performance and strategy, so we strongly recommend that you check out the full story on how to use PR opportunities to get better backlinks and improve visibility. Submit content on forums. Some attorney directories and other online forums give you the chance to answer questions and submit content to their sites when you sign up for a profile. This is a great way to reach potential clients who might not have otherwise seen your content. It’s also something that may already be a benefit of the profiles you pay for, so you may as well use it to attract more traffic to you. Whether you create unique content or share your existing content, make sure you are following the forum’s publication guidelines and rules for use. Put your content in front of influencers. “Influencers” are the people who already have widespread attention online or a big, passionate following. Getting a share from an influencer can put your content in front of a huge new audience, and it can potentially increase your own audience’s sense of trust in what you have to say. Think about the biggest influencers in your industry and areas of practice and how you might get in touch with them. Are you connected on LinkedIn, Twitter, or Facebook? Do you run into them at work or events? Can you reach out with a quick email? Politely offering content that is well-written and relevant for the influencer’s audience can go a long way—and so can sharing and referencing the influencer’s content with your own readers. Do you need help getting better performance out of the content you put online? Give us a call at 888.886.0939 to start a conversation with our content marketing experts, or find better ways to do it yourself with our powerful DSS SEO & Website Health Tool.